What about non- Brahmins? Is it not necessary for them too to become pure within? Even if they do not have to perform Vedic rituals or chant mantras, they too have to become cleansed inwardly by doing their alloted work. Whatever his caste or jati, if a man performs his hereditary work in a spirit of dedication to Isvara he will become liberated. This is stated clearly in the Gita:"Svakaramana tam abhyarcya siddhim vindati manavah. " One man has the job of waging wars, another that of trading and rearing cattle, a third has manual work to do. 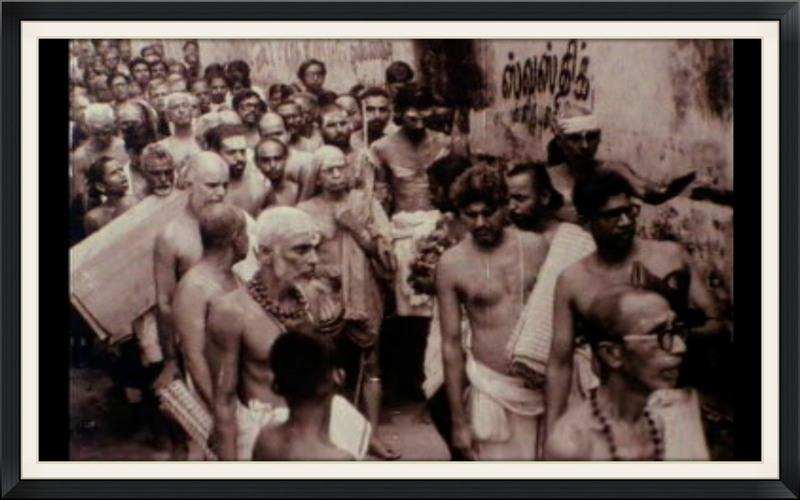 What work does the Brahmin do for soceity? Is not he grace of the Supreme-Being important even in worldly life? The Brahmin's vocation is doing such works as would enable all jatis earn this grace. The devas or celestials are like the officials of the Paramatman. It is the duty of the Brahmin to make all creatures of the world dear to them. The work he performs, the mantras he chants are intended to do good to all jatis. Since he has to do with forces that are extra-mundane, he has to follow a religious discipline of rites and vows more strictly than what others have to follow so as to impart potency to the mantras. If it were realised that he has to perform rituals and observe vows for the sake of other communities also, people would not harbour the wrong notion that he has been assigned some special [ priveleged] job. Apart from this, the Brahmin has to learn the arts and sastras that pertain to worldly life, the traits and vocations of all other castes and instruct them in such work as is theirs by heredity. His calling is that of the teacher and he must not do other jobs. His is a vocation entailing great responsibility and is more important than the job of affording bodily protection to people, or of trade or labour. For the Brahmin's duty is to preserve the arts and crafts and other skills by which other communities maintain themselves to nurture their minds and impart them knowledge. If the man discharging such a responsibility is not mentally mature, his work will not yield the desired results. If he himself is not noble of mind he will not be able to rise others to a high level. At the same time, he has a handicap which he does not share with others. If he believes that he is superior to others because he does intellectual work, he will only be a hindrance to himself. That is why the Brahmin has to be rendered pure. Since there are reasons for him to feel superior to others, there must be the assurance that he does not suffer from the least trace of egoism and arrogance. That is why he is tempered by means of the forty samskaras and his impurities wrung out. If the mantras are to be efficacious, the one who chants them must be disciplined and must observe a variety of vows. There is, for instance, the mantra to cure a person stung by a scorpion. The man who chants it must observe certain strict rules. If he is lax in the matter, the mantra will have no effect- this is what the mantrikas themselves say. There are rules for the recitation of each mantra, a time when it is to be chanted and when it is not to be. If the rules are violated it will have no effect. It is said that the mantras are more efficacious when recited during eclipses. A Vedic sakha contains all the rites needed to be performed by a Brahmin to become pure within.